rom hair to makeup, there are always going to be shortcuts that will help you to save time and get that magazine model look, without spending hours or a small fortune in doing so. 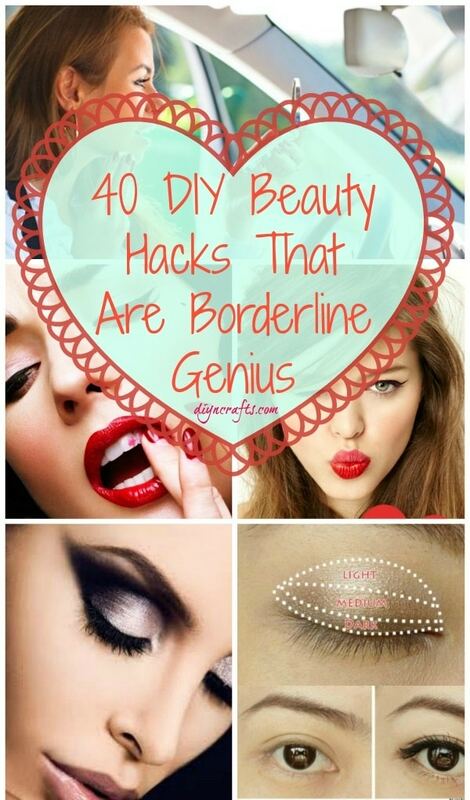 We have collected a list of 40 beauty hacks that are easy, inexpensive and best of all, very effective. Use one or use them all to get the look that you want in just a few minutes each day. Beauty is not something that comes natural to every woman. Some have to spend time priming and polishing in order to get the perfect look that they want. While every woman is beautiful in her own right, it is no secret that there are some who look like they spend much more time with their beauty routine than others. However, this does not mean that every beautiful woman in the world spends hours getting ready every morning. There are hacks or short cuts that you can use to help you to look like you spend hours in the bathroom, while in reality you may only have to spend a few minutes. Lipstick on the teeth has plagued women for centuries. Nobody likes to smile and find out that they have red all along their pearly whites. A great way to avoid this is to simply wipe your lips from the inside out. After you finish applying your lipstick, just stick your finger in your mouth and pull it out. Remember making those “popping” noises when you were a kid? This is the same thing. Your finger will wipe away the excess lipstick and leave your teeth shiny white. White eye shadow is a great choice if you really want your eyes to stand out. 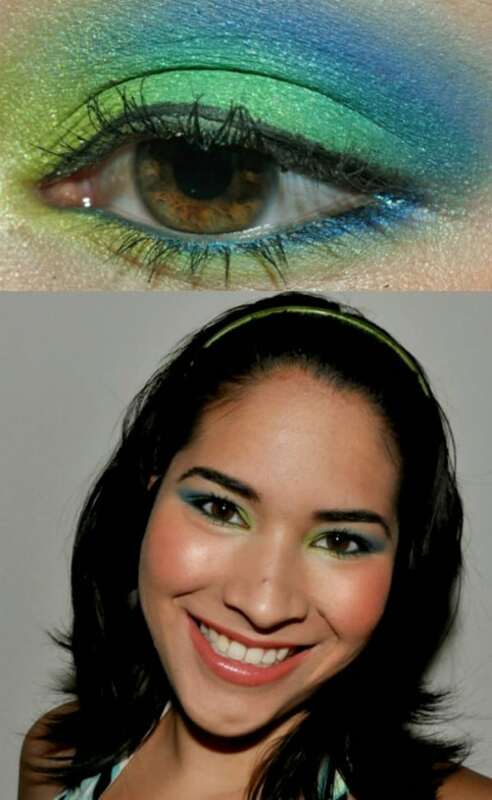 You just have to layer your lid with white eye shadow and then add the colors that you want. The white will also keep those other colors from rubbing off before the end of the day and you can even add white to the top of the lid by the brow to really make your eyes pop. If you have run out of eye liner and you are in a hurry, you can use your mascara instead. Just rub an eye liner brush over the mascara brush and then line your eyes. 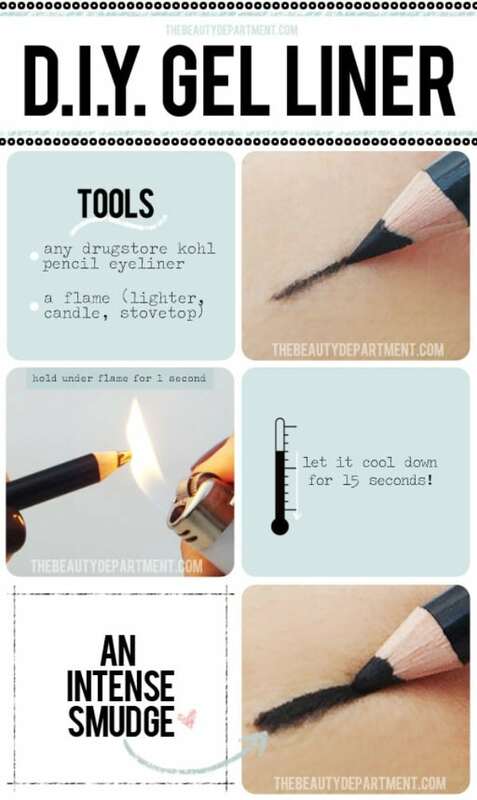 This works well if your mascara is the same color as the eye liner that you typically use and even if it’s not, it will help you to get your eyes lined in a pinch. The mascara will wash off your eye lids just like it does off your lashes. Doing your hair and makeup takes a bit of time, especially if you are trying to achieve a specific look. If that look happens to be a Victoria’s Secret model, this great video will show you exactly how you can achieve it and it’s all pretty easy. From how to line your eyes to applying eye shadow perfectly and even how to get those great cheekbones and curls, you can learn how to do your hair and makeup just like the models do. You even learn what brand and what colors you need to achieve the look that you want. If you have ever wondered how those supermodels get their beautiful looks, how they apply their makeup to make their eyes look smoldering or how they achieve those full, luscious locks, this is your chance. 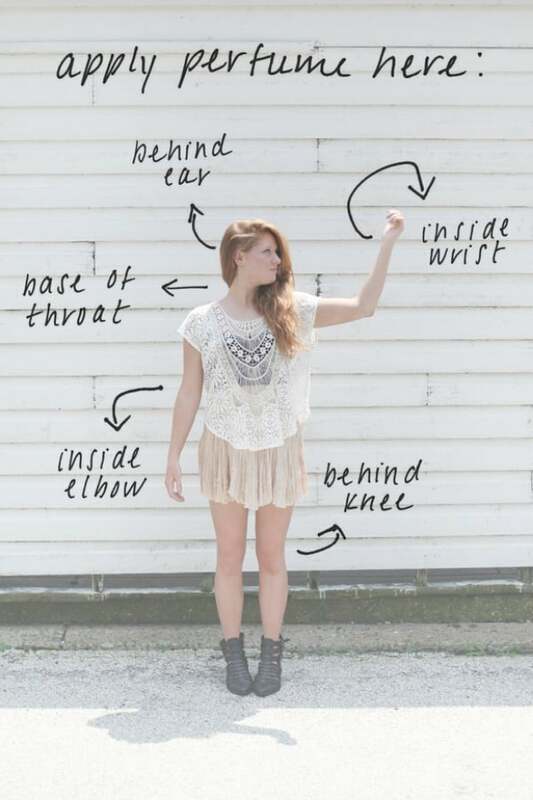 This great tutorial tells you all of the secrets to looking like a Victoria’s Secret model. Concealing dark circles and bags under your eyes is much easier when you apply concealer properly. 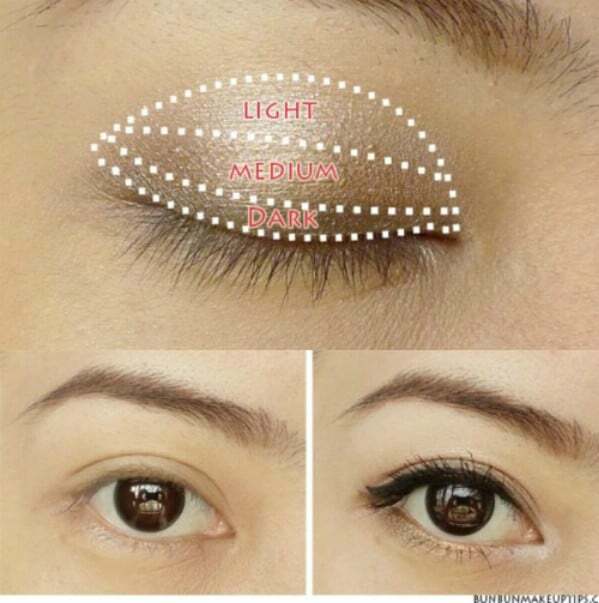 Instead of dotting on concealer in the pattern of your eyes, apply it in a triangle shape. Just dot it on under your eyes and blend downward in the triangle shape. It will perfectly cover up those dark circles and bags and give you the look that you want. When you really want your eye shadow to look professional, you can use Mac Paint Pot in Soft Ochre before you apply your eye shadow colors. Brush on a coat after you have applied primer but before you apply color. It will help to smooth out the shadow and keeps it put for the entire day so you have fewer worries of your eye shadow rubbing off. Graduated manicures are all the rage and they are so easy to do, if you know how. Instead of spending hours applying each coat of color, just apply them all at once. You will need a few makeup sponges and the colors that you plan to use. 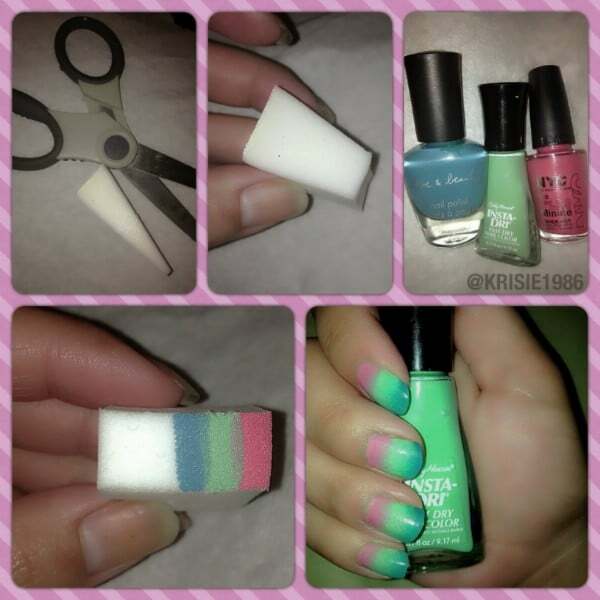 Just paint the pattern that you want on the makeup sponge and then press it to your nail. 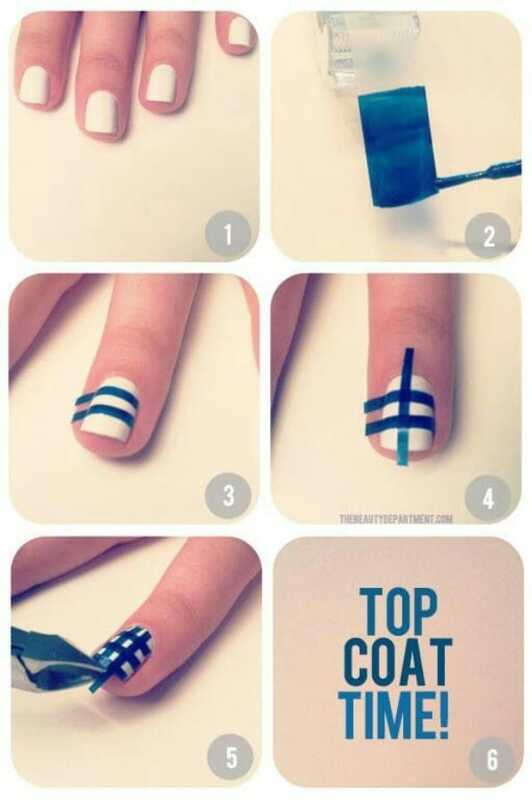 Instant manicure that’s really easy to do and will ensure that the pattern is the same on every nail. Lipstick tends to rub off, smudge and otherwise not look as great at the end of the day as it does when you first apply it. You can remedy this problem with a tissue and a bit of translucent powder. After you have applied your chosen lip color, just hold a tissue over your lips lightly and dust just a bit of translucent powder over the tissue. This helps to set the lipstick so that it lasts longer. Lip Venom is a tad expensive and you don’t necessarily have to shell out $20 to look like you have. You can just add a drop or two of peppermint oil to your favorite color of lip gloss and get the same results. You can pick up peppermint oil at any natural food store and many grocery stores have it as well. 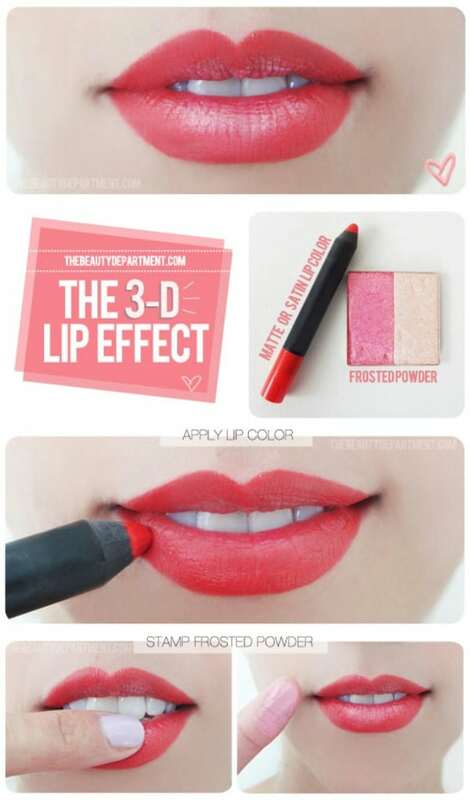 Just add to your lip gloss and mix it in well to get the same results as Lip Venom without the cost. You don’t have to wear false lashes to get that long, full look. 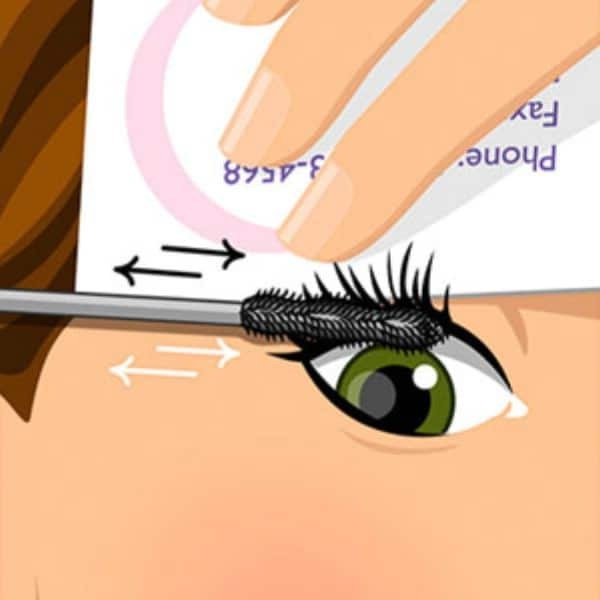 You can achieve the same look by simply dipping a cotton swab into baby powder and running it across your lashes after you have applied a coat of mascara. Then just apply a second coat of mascara and it will adhere to the powder, giving your lashes a much longer and fuller look. 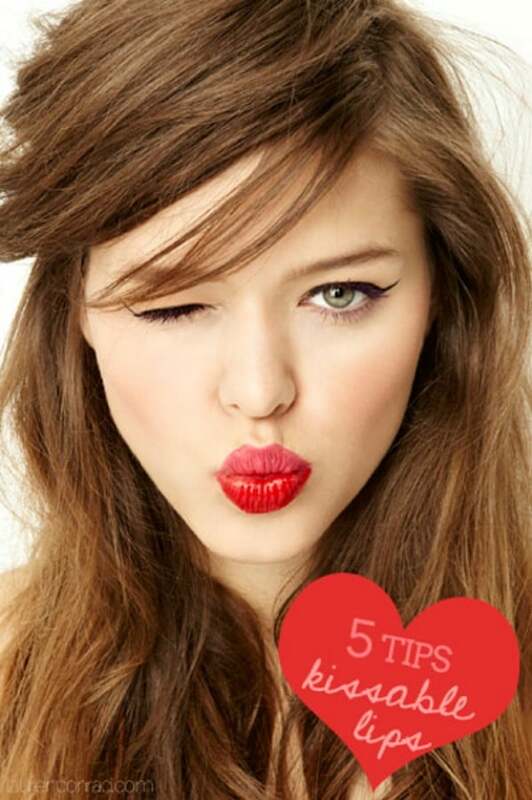 To get fuller and more luscious lips, you simply have to learn how to properly apply lip liner. 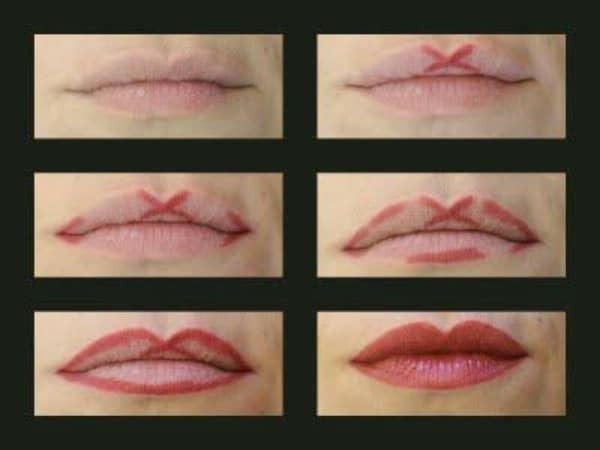 In order to get the Cupid’s Bow shape, you just need to mark an “X” in the center of your top lip, line the corners and then join everything together. Once you apply your lipstick, your lips will look much fuller. Split ends are awful and many women have them. To get rid of them, you don’t necessarily have to visit your stylist. You can just twist your hair and then snip along the outside, removing the split ends as you go. 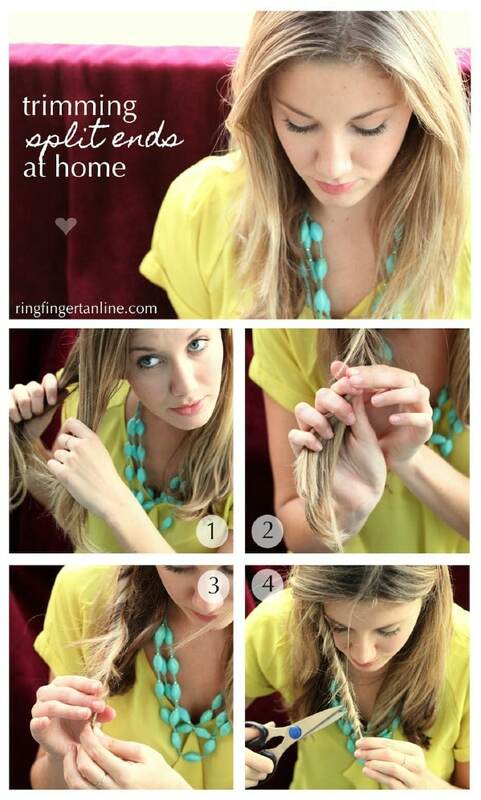 Just twist several strands together and then snip away the hairs that you see sticking out. Your hair will be much smoother and shinier. Even if you are in the car on your way to work, you can quickly and easily style your hair in a great top knot that will last all day. Just gather your hair into a ponytail high on your head and secure, divide the ends of your ponytail in two and twist each section. Then just wrap the sections in opposite directions and pin. 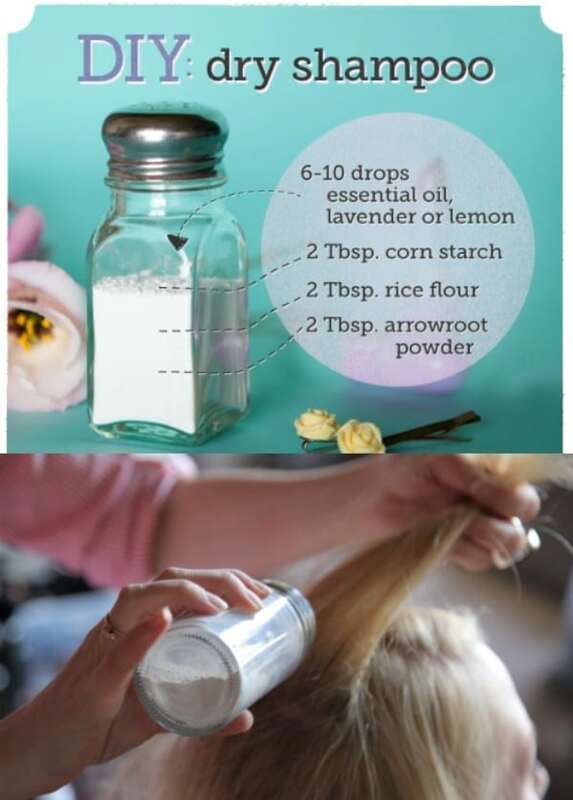 If you wake up late and don’t have time for a full shampoo, you can mix your own dry shampoo using just ¼ cup of cornstarch and a few drops of your favorite essential oils. Just apply the mixture to the roots of your hair, comb through and it will keep your hair clean and oil-free for the rest of the day. Note that if you have darker hair, you may want to mix in equal parts of cocoa powder with the cornstarch. With just an acrylic top coat, acrylic gel and you favorite nail color, you can make your own shellac manicure and save a small fortune over what it costs at the salon. 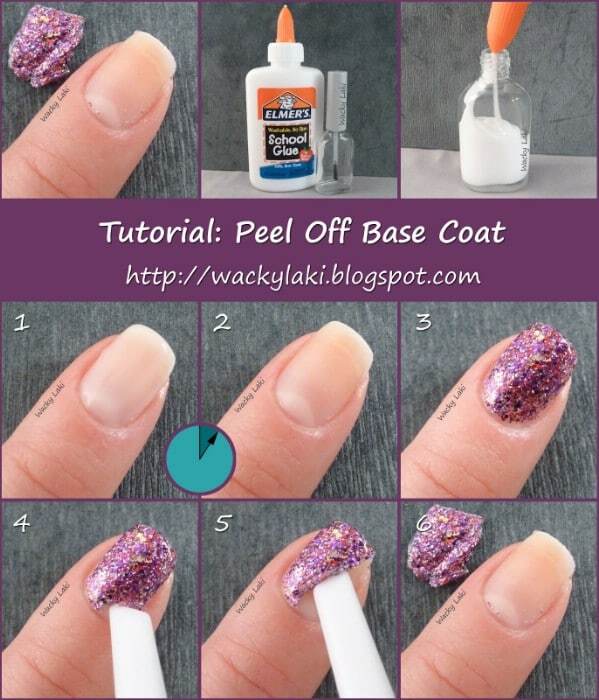 Just apply the gel, followed by your nail color and then the top coat. Your manicure will last up to two weeks and look shiny the entire time. Getting your makeup to look right depends on how you apply it. 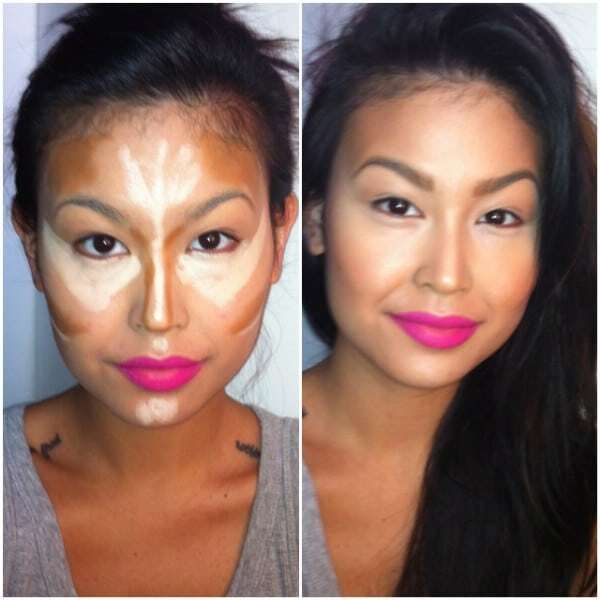 There is a method for contouring that you should learn in order to make your makeup look perfect every time. Following certain lines on your face is crucial when applying contouring or concealer and when you use a darker color along the lines of your cheekbones, you get that great high cheekbone look. When you want that bold winged look, it is important that you draw the lines in first and then color them in. 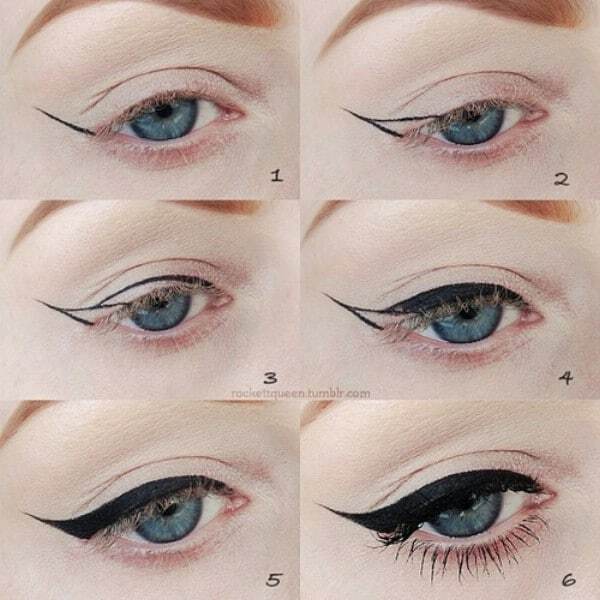 Just draw in the wing at the outside corner of your eye and then use the same eye liner to fill it in. This not only helps you to get cleaner lines, it helps your wings to stay in place much longer. If you chip one of the tips of your french manicure, you don’t necessarily have to remove the polish and do the entire thing again. For a quick fix, just remove the portion of the nail polish that is chipped and use a rubber band to section it off. You can then just paint new polish over the area that needs it and be on your way. If you hold a business or credit card (not a usable one) up to your lashes when applying mascara, you can get the mascara all the way to the very root of your lashes. 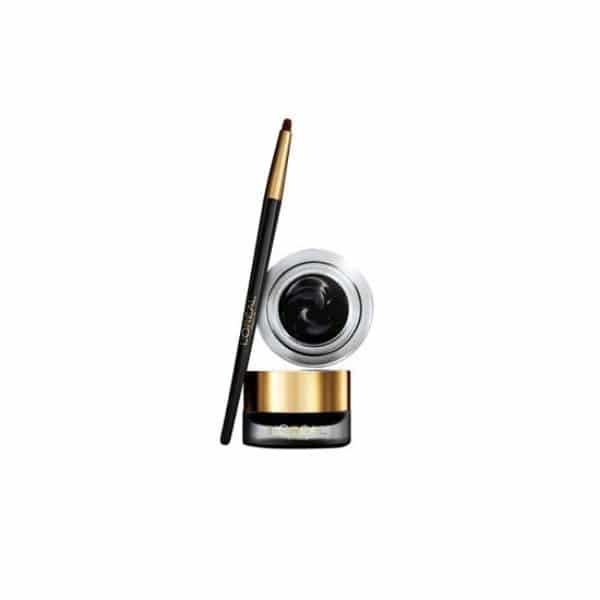 This helps you to have a more professional makeup look and ensures that your lashes will be colored perfectly all the way to the base. 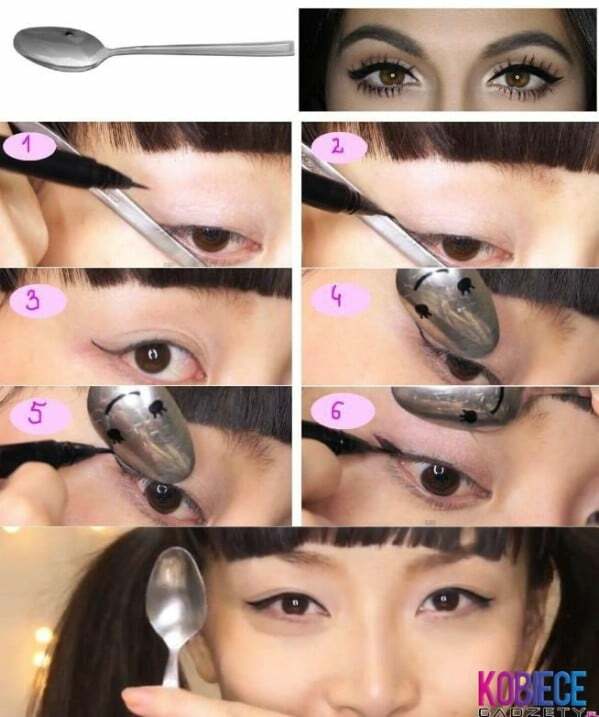 If you want to draw in wing shapes at the outer corners of your eyes, an old spoon will do the trick nicely. Just hold the spoon at your eye’s corner and trace the outline. This gives you the perfect winged look and helps you to keep from ruining your makeup by making lines that you don’t need. Plus, it helps you to get the look that you want much faster. 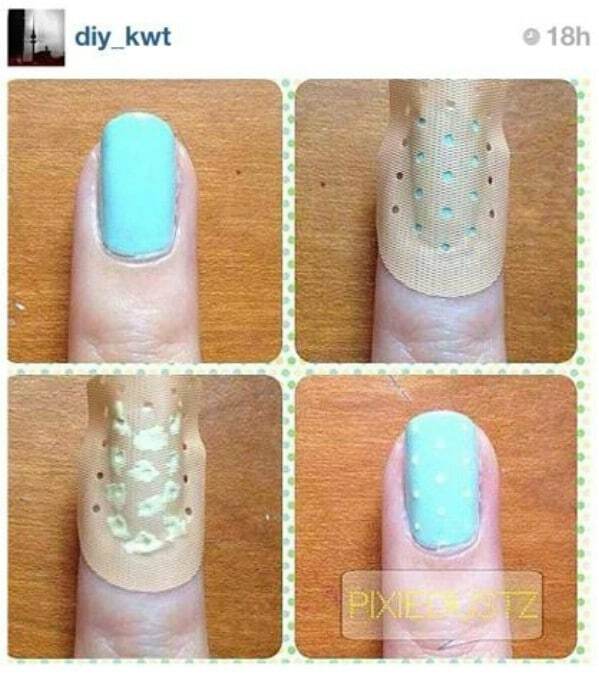 For quick nail art, just grab the Band-Aids. 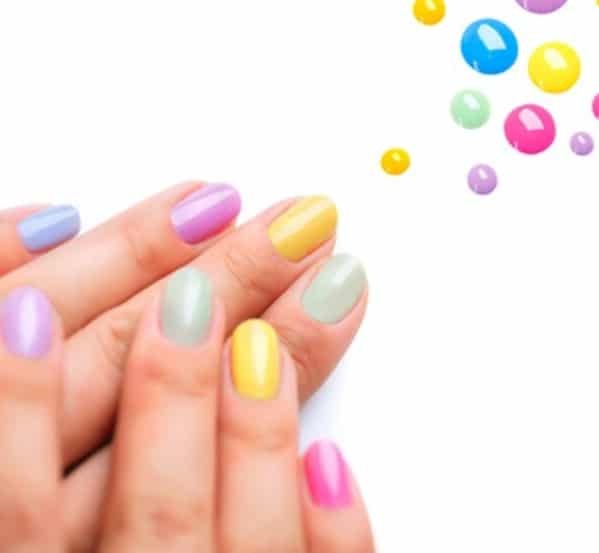 After you paint your nails the color that you want and ensure that they are dry, just place the sticky part of the Band-Aid over your nails and color in with white or any other color that you want. You will get a great polka-dot look that is easy and takes very little time to create. Instead of grabbing the eye shadow every time, you can make your eye makeup routine much faster by simply crosshatching gel liner onto your lids and then blending. The gel liner will last for many hours and gives you smudge-proof eye coverage as well. You can also blend different colors if you want for a really unique look. The lighting in different places will make your makeup look different. 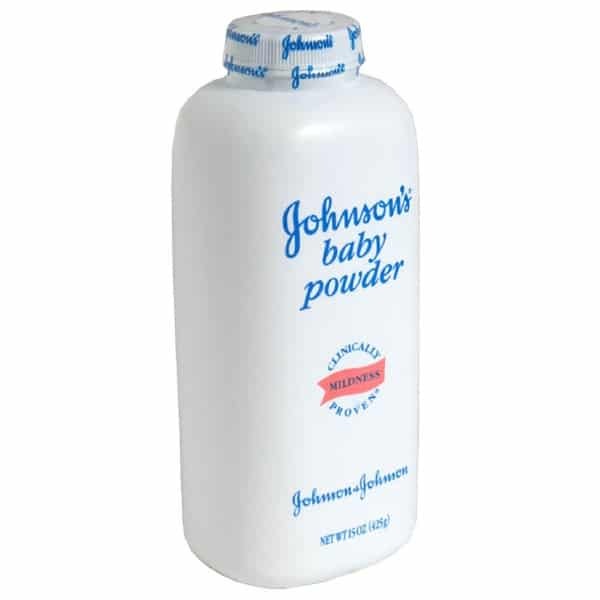 When you finish applying it each morning, be sure to grab your compact and check it against the natural lighting inside your car. This will show you any areas that may need to be blended better or colors that are a bit too bold. When blending for a smokey eye look, it is important that you use one brush to apply your chosen colors and a clean brush to blend. 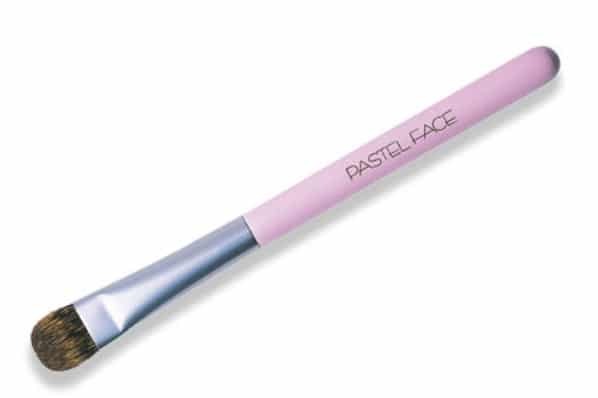 This keeps the colors from running into each other, particularly on your second eye when you have additional makeup on the brush. Clean your brush when you are finished so that it will be ready tomorrow. Glitter nail polish is great, until you try to remove it. Instead of fighting with it during removal, use Elmer’s glue before you paint it on. When you use glue as the base coat, your glitter nail polish will actually just peel right off when you are ready to change colors and the glue can keep your polish in place for up to a week. Using Vaseline for a neat manicure is a good idea, but you can’t really see it. 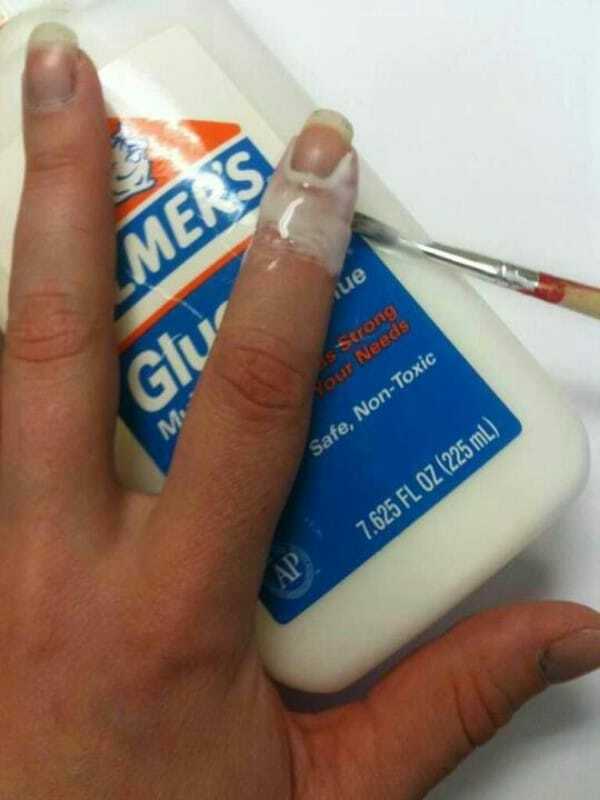 If you use Elmer’s glue you can see it much better when you are finished painting your nails. You can rub it off if you do accidentally get it on your nails. Apply the glue with a brush and then just peel it away and it will take those corners and edges with it, leaving you with the perfect manicure. Pale, frosted eye shadow is the perfect choice if you want fuller, poutier lips. Just apply your lip color as normal and then go over it with a frosted eye shadow. The frost is a bit thicker in eye shadow so it will give your lips a luscious full look when you just dab it on over your lipstick. Every woman knows that braiding hair gives you great waves but the trouble is that those waves don’t really stick around for long. You can make them last longer if you use your flat-iron on them. 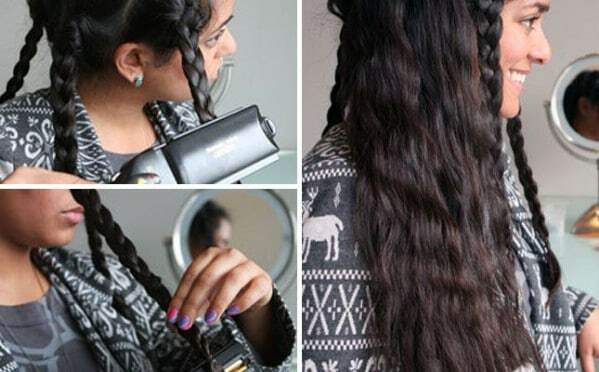 Before you take your braids down, use your hair straightener to heat them. Let them cool and them loosen them. your waves will last much longer this way. Using a light, shimmery eye shadow on the inside corners of your eyes will brighten your eyes and can even make you look a bit younger. The lighter color helps to alleviate darkness that is normally present on top of the nose area. Just brush a very lightly colored shimmery shadow into the area whenever you apply your eye shadow. Perfumes don’t always last all day and one of the reasons for this is that many women have no idea where to actually apply them. If you want staying power with your scent, you have to hit the critical areas. Apply your perfume to the insides of both wrists, behind your ears, inside your elbow, at the base of your throat and behind your knees to make the scent stick with you longer. There are a few different ways that you can dry nail polish more quickly. The freezer works well or you can simply dip your nails into ice water after you finish polishing them. Leave for just a few seconds and it will help to set the polish. You can also use a blow dryer or spray Pam cooking spray on your nails to set the polish and help protect it from cracks. If you just can’t help but walk into things and you have a fresh bruise, you can treat it with mouthwash. The mouthwash will help the bruise to clear up much faster and instantly makes it look better. Remember this the next time you walk into that table that you keep forgetting you have. Just dab some mouthwash on the area with a cotton swab and it will look and feel much better. Even if it’s winter or you rarely get out in the sunlight, you can look like you have just stepped off the beach. 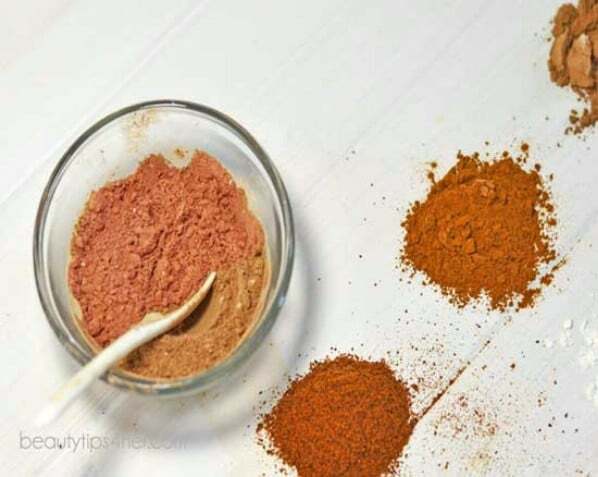 Just mix together 1 tablespoon of cinnamon, 1 teaspoon of cocoa, 1 teaspoon of nutmeg and 2 teaspoons of cornstarch. This makes a great bronzing powder that will give you that sun kissed look without actually having to spend any time in the sun. Just paint your chosen nail polish color onto scotch tape, cut carefully and use the strips to create a beautiful gingham design on your nails. You can do this in many different colors to match virtually any look. Trip the tape carefully when you have it in place and then add a top coat to keep it there. Sometimes when you are in a rush to get ready, you may accidentally get makeup on your shirt collar. Foundation can be particularly difficult to remove. Just add a bit of shaving cream and wipe that makeup away with a damp cloth. The shaving cream works perfectly, won’t harm your clothing and best of all, you won’t have to take the time to change before you leave. 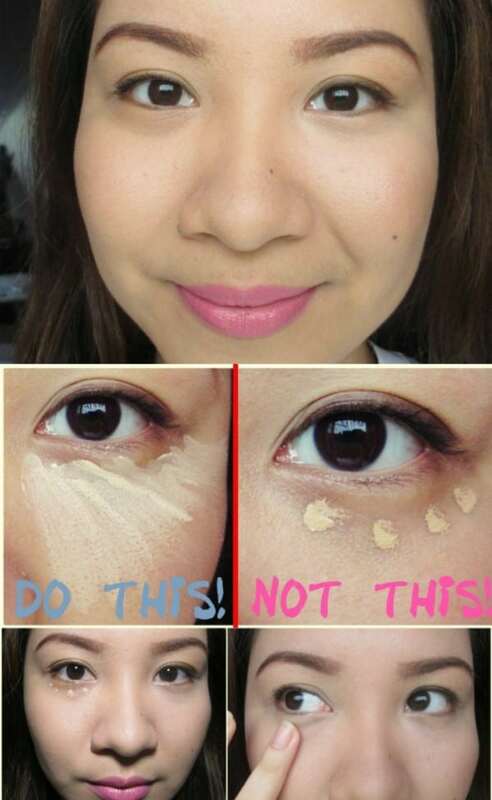 Concealer is great for hiding those under eye circles but it tends to crease, particularly if you have a few wrinkles. To keep it from doing this, begin by applying a light primer to the area before you add concealer. 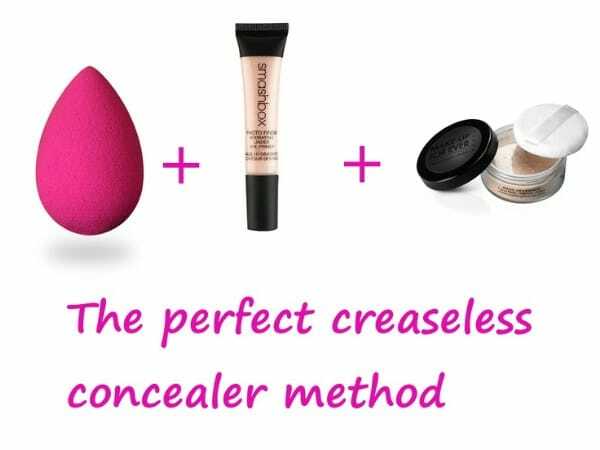 Be sure that you add concealer with a beauty blending sponge and dab softly to create fewer lines. Then just add powder and you should have a smooth finish without the creases. Getting the natural look with your eye makeup can seem difficult. To make it easier, apply liquid or gel eyeliner before you begin applying shadow. The eye liner should be subtle for the natural look. When applying shadow, remember to keep dark shadow closest to the lashes, medium shadows directly on top of dark and then lightest on top of that toward the brow. If you have a zit that just pops up out of nowhere and you have a special evening planned, you can tone down the pimple just a bit by dabbing it with Visine. 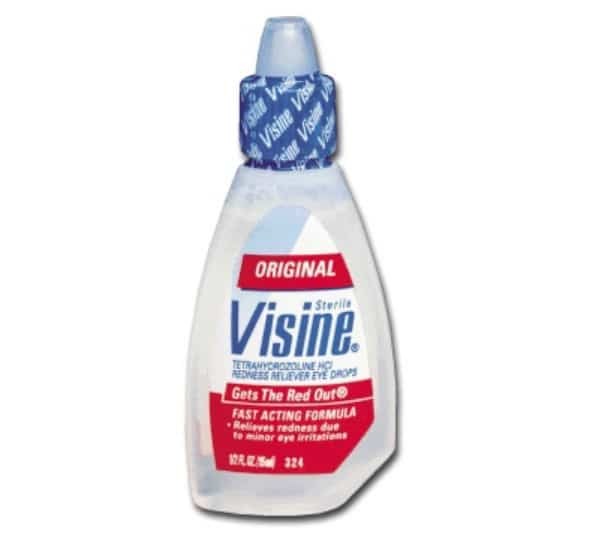 Visine helps to bring the redness to a bare minimum. 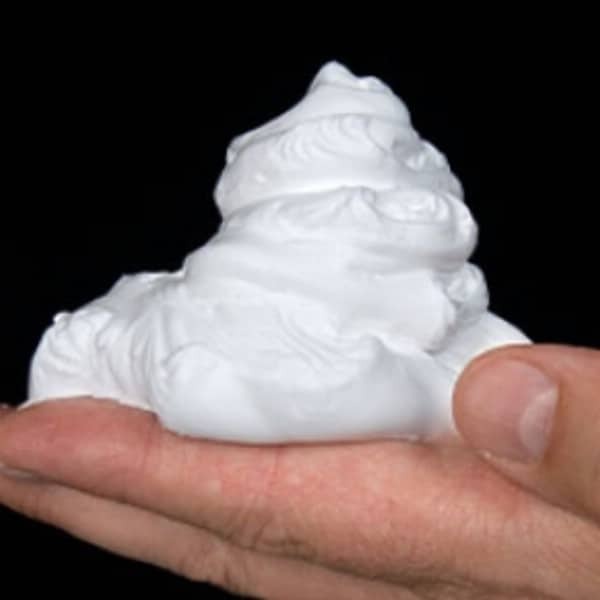 Just soak a cotton ball in it and then hold it on your zit for a few minutes. The redness will go away for a few hours and you can cover up the zit itself with concealer. To get nails that look like they cost a fortune at the salon, you just need tape and some craft scissors. Cut tape with patterned blade scissors in lengths that will fit the length of your nails. Paint nails the color that you want on one side and allow them to dry. 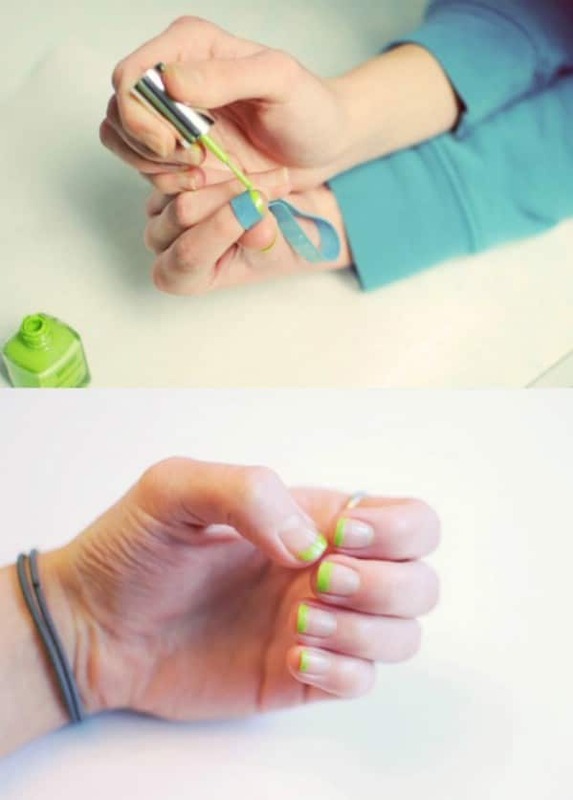 Once dried, apply the tape to each nail and paint the second color over the open side of the nail. Remove the tape and you have two-toned nails that are easy and perfect. 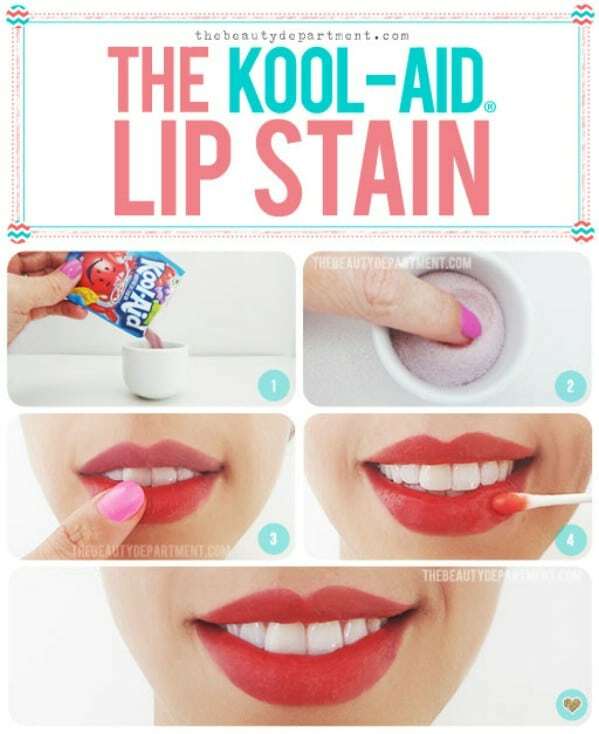 If you have run out of lip stain or if you just want to try a new, and tasty, color, try Kool-Aid. Just empty the packet into a plastic container and dab it on your lips with a cotton swab. It stains really well and the color can last all day long. Just a note, if you want a sweet taste you will need to use presweetened Kool-Aid powder. Kool-Aid comes in a variety of different colors so you can have different stains for any day of the week and it’s really inexpensive. I have been charged 92.99 TWICE, for products I have not received from Premium Beauty Life!! Please take me off this list immediately11 I cannot afford this!! the number on my order reads 8950/nv0000000000002575!! Please help me out !! Hello Bonita, we don’t sell anything.